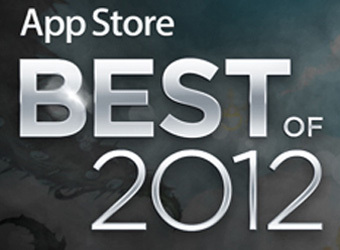 Apple has announced its ‘Best of 2012′ list, a summation of the top-selling apps, songs and movies from the App Store throughout the past year. The highest selling paid app in 2012 was WhatsApp Messenger, a smartphone messaging app, while the highest rated free app was Draw Something Free. Aussie apps, including Virgin Australia Flight Specials, Sydney Food Trucks and OzTV, developed by Alex Johnston and Jeff Tan-Ang of Apps Perhaps, featured in the list. Music and movies consists of the top-selling tracks and films for 2012, and four selections from the Editors. ‘Call Me Maybe’ by Carly Rae Jepsen was the best-selling song this year, while in the movies category, The Hunger Games came in at number one.